We are a Independent car hire company with more than 10 years of experience established in the Costa Blanca since 2004. We specialise in offering great customer relations and car hire service, working from both Alicante and Murcia airports. We can either offer car hire – meeting your flight with the pre-booked vehicle of your choice, or for anyone who doesn’t need the use of a vehicle during their stay, we also offer airport transfers to your resort or accommodation. 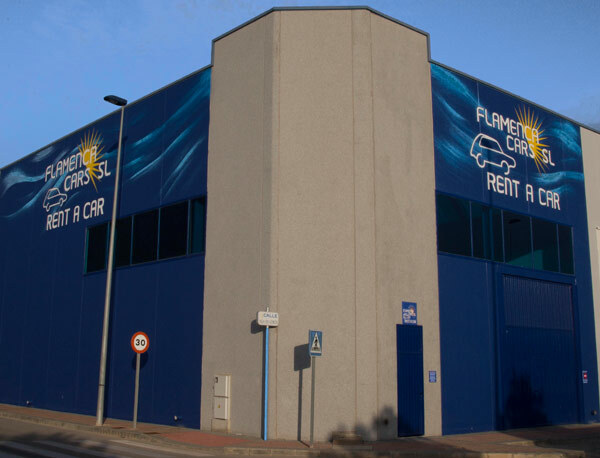 The flamenca cars fleet offers a range of quality small, medium hatchbacks and larger family cars, 7 seater and 9 seater vehicles. We guarantee that the price you are quoted is the price you pay, we have no hidden extras, no holding deposits and no fuel surcharges, the vehicles are received full and returned full. The best of all is that there are no more long airport queues, our employees will be ready to greet you at the airport with all paperwork completed prior to your arrival. Why are our prices apparently more expensive than big companies? It's very simple, they are apparently cheaper but when you collect your car they add huge and abusive extras ( Fuel insurance deposits) and the end total is multiplied by 4, We are very clear, what you see is what you get. The price we quote is the last price you pay with no hidden extras. We do not take any holding deposit or hard sell you into any insurance covers, In fact your insurance is included within the price quotes to you on the website covering you for body and glass damages. You will receive the car on a full tank and you return back on a full tank there are no fuel surcharges, you are met at arrivals with your car, paperwork and payment is all complete via our website online prior to your arrival. Try us once and your never look back !!!!!! The booking is straightforward and all online. Once the booking is made, your reservations can be accessed online with the ability to make amendments to your booking, flexible and simple.